The beginnings of what would eventually become the Namkobian Empire date back near the beginnings of the world itself in the Minecraftian mythos, beginning around a time known by some as the Period of Internal Development, or InDev. It was during this period that the ancestors of the race from which virtually every Minecraft person hails from changed from a very rudimentary hunter gatherer society that lacked tools to the modern Minecraftians that are recognized today. Namkobians acknowledge Notch as the central creator of the world, but revere a being named Dock instead due to the fact that they are sort of the distant descendants of the Neominecraftians, or Crafters (Rana, Black Steve, ect. ), who in turn were believed to have been shaped by Dock rather then Notch during the great period of generation for the world. The Crafters were known for their their proficiency in steam and fire-based technology, being the inventors of flint and steel as well as the furnace, guarding the destructive technologies from the far more primitive Miner peoples of the time, who possessed the brute strength to harvest wood and stone through their fists, but not the knowledge of how to use these raw materials to build tools. For a long time, the Miners and the Crafters remained separate, occasionally having squabbles amongst one another, with the Crafters using their knowledge of fire to wrench the upper hand against the mighty yet unclad fists of the Miners. This went on for many a patch, until the Miners figured out how to craft tools of their own out of necessity, having degenerated to the point where they could no longer mine through sheer force alone. These objects were first utilized towards gathering activities, as the Miners had done for many patches, until the squabbles started again between themselves and the Crafters. It was here that these Miners, now known as the Mine-crafters or the Minecraftians utilized their skills towards building weapons capable of combating the Crafters, whose frailer vitality meant they were little match against their technologically inferior, yet stronger rivals. Eventually, the Crafters were nearly wiped out by the Minecraftians, dwindling the point of just a handful of individuals who managed to befriend some more sympathetic miners (mostly outcasts themselves) and escaped the carnage, the friendly Minecraftians and Neonians founding the Providence of Namen, which eventually grew into the Kingdom of Namkobia, which would further expand within its world into the Namkobian Empire in the aftermath of a continent-wide war. A primarily maritime culture, Namkobians live on a chain of islands in their world known as the Namkobian Isles, rich in metal and coal, which worked to fuel their proficiency in steam-based technology, but also left them with little food, forcing many Namkobians to become pirates, plundering resources from the merchants of rival nations, while also sparking large colonial migrations to potentially better lands. The Namkobian Expeditionary Force is one of these colonies, consisting of 6,000 someodd soldiers, pioneers, and weaponry, which somehow managed to find themselves stumbling in an unknown land far away from home, some believing that they might not be even on the same world. Today, most Namkobians are either Crafters or Miners, with Miners making the vast majority of the populace, the small crafter minority being the last remaining members of their kind in the world. 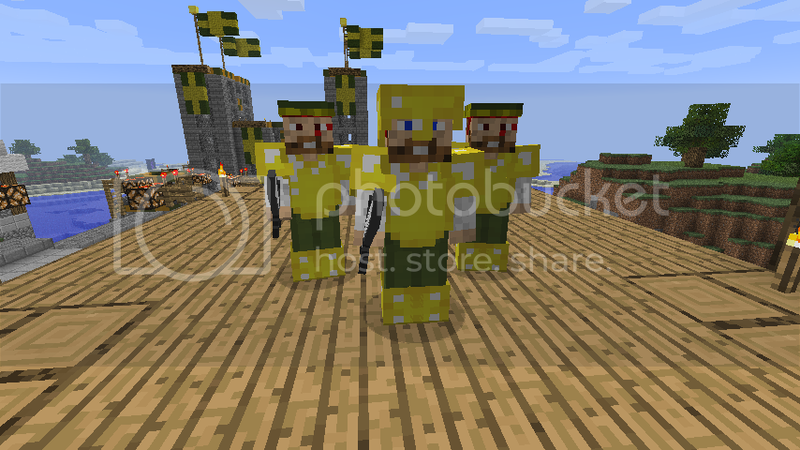 The current rulers, Admiral "Cap'n" Namkob VI, and Queen Ran, are a miner and crafter respectively. Relative to the technology of surrounding nations, Namkobia sits on the bleeding edge military-wise, having a fully industrialized manufacturing base from which they produce machines such as the biwing aeroplane, predreadnought battleship, semi-rigid air galleon, Agar repeating gun, and battle tank. On the other hand, their infantry mainly consists of musketeers and halberders working in tercio formation and supported by mounted lancers, the standard for gunpowder equipped nations within their world, but leaving very much to be desired in a field where automatic weapons are the norm. All in all, while advanced relative to the early modern army that they mostly partake (making them strong relative to medieval armies and rival renaissance/steampunk forces), their dated technology leaves them at a disadvantage against modern and futuristic forces with far superior weapons. That being said, the innate abilities of Minecraftians and added with clever thinking allows them to remain a formidable threat against contemporary forces, something which they can additionally offset with the unique technology they have. Prior to the Great Continental War, most Namkobian forces were in essence, disorganized privateers and mercenaries, and though were plentiful in number, were rather unreliable, and little a match against professionally trained armies. In the war's aftermath, a professional military was founded, based off the hierarchy system of their allies. Those who either showed sufficient merit or payed the king enough tribute were promoted to ranks of prestige, allowing them to give orders to their peers. Captains will generally have armaments similar to the type of unit they command; Muskeeters will have muskets outfitted with bayonets, while Swordsmen and other melee will have a rapier. These are pioneers that have decided to accompany the expeditionary force across its massive journey, many of them carrying little more then the clothes on their backs. Though unassuming at first, they can be easily specialized into more specific technical roles when needed, trained to become soldiers (depending on the citizen type in question), or used as militia in emergencies. In the event that a base is needed, they're also useful for tending to tasks such as farming and crafting. Sailors are a variant of citizen that can in addition to standard actions be drafted onto ships as crew. In addition, most sailors are armed with weapons of varying quality, allowing them to function as instant militia if needed. Sailors will always convert into swashbucklers upon being trained up as swordsmen. Otherwise known as villagers, Testificate are a simple people. They live in small villages of rudimentary but functional design, and are artisans with what trades they can get their hands on, building such marvels as the "robot" automation and the modern enchantment system. Though not too trusting of Namkobians, they get along well enough to accompany one another. Testificates act as workers in the arcane, resupplying witches on the field with potions when needed, and, once an enchantment facility has been installed, enchanting weapons, tools, and armor. They aren't terribly brave, running away at the first sign of danger, as well as being afraid of the dark, but wouldn't you run too if you were being chased by zombies? The humble musketeer forms the backbone of the Namkobian Army, diligently trundling away with little more then a quarter-stack of beef, a dozen apples, a digging tool/melee weapon (be it a shovel or pickaxe), a flint and steel fire-starting kit, and perhaps a couple sticks of dynamite to act as grenades weather permitting. Their breech-loading muskets sport a respectable fire rate of one shot per 10 seconds, but remain dirty, noisy, inaccurate, and highly visible when firing. Despite this, their ability to dig and build at a nearly inhuman rate, rivaling that of heavy industrial equipment, coupled with their seemingly superhuman strength, gives them allowance to set up fortifications and tunnels in mere minutes, allowing them admittance to nasty tactics such as ambushing from bellow, or causing controlled cave-ins to trap enemy vehicles. They say a musketeer is most dangerous when you cannot see him. Since the time immemorial, crafters have been fashioning swords and armour from the resources around them and pressed themselves into fierce combat, fighting off marauding undead and creeper in order to defend their homelands. Though no longer the backbone of the groundforces like they once were, Namkobian Swordsmen remain a stalwart choice for close quarters or other honourable melee combat. Armed with a sturdy iron broadsword, and garbed in gilded armour clad in gold, these men are sturdy fighters indeed. 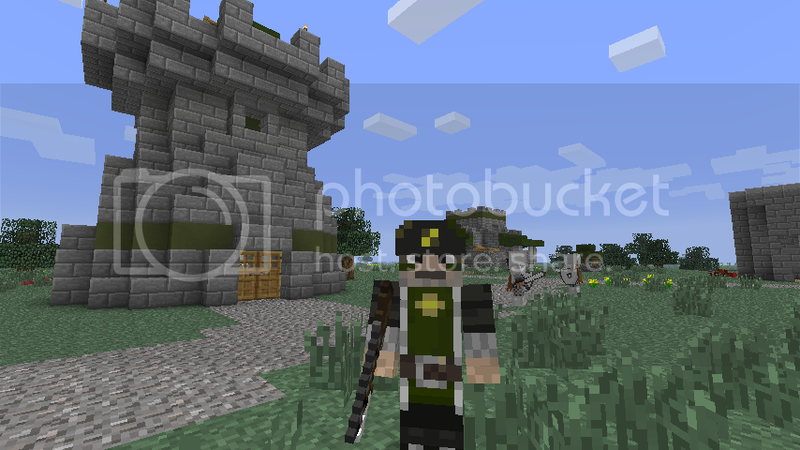 Swashbuckling soldiers are in addition equipped with a buckler in order to better defend themselves. Heretics of the Testificate people, the original witches were feared and hunted for their many reagents, finding recluse within swamps to study the arts of alchemy. Eventually, enough miners took up enough of the witch's traits that it was difficult to justify hunting them when said miners were witches themselves. So, a truce was made between Namkobia and the witches of the swamps, the witches teaching people how to best use their potions and enchants. The original witches of the north, who are testificate hermits that live in huts in the swamps. They lack the flying broomsticks of their "human" counterparts, and are thus less mobile tactically, but have been drinking enough of their own brew that they can argument themselves greatly. For instance, they continually drink potions of regeneration in order to make themselves quickly regenerate any damage to their bodies that isn't instantly fatal, allowing them to charge into the heat of combat and pelt opposing troops with a debilitating poison, while their final choice of a potion is a peculiar mixture which renders them immune to the effects of heat, allowing them to swim in lava or stand in front of a flamethrower with little consequence. Unlike other witches, northerners do not any of their potions other then their bottled poison. The witches of the east, which practice in healing and supportive magic, utilizing healing potions which can mend the wounds of wounded infantry and drastically increase their life expectancy in combat (though said potions will harm the undead, and in fact are rather useful at dealing with masses of undead in that regard), invisibility, to render an unclad target completely invisible (it doesn't work on clothing thicker then cotton or armor), or swiftness, to increase the moment speed of an organic unit. The witches of the west are cruel warlocks which delve in harming targets directly, preferring to use their magic skills to rain potions of a lethal concoction from the skies; these potions of harming, especially when thrown in mass, will make short work of any ball of infantry, and can cause great pain to even largest of organic units. In addition to this, witches can also use a potion of weakness to instantly fatigue foes, leaving them barely able to lift their weapons and demoralized for easy pickings, while finally, these witches can use a slowing mixture to halt an advancement considerably, or make it difficult for them to utilize evasive maneuvers. All witches carry a maximum amount of 10 potions at once, but can replenish this amount in either a specialized supply area (such as a witch hut) or a local testificate artisan. The infamous Creepus Explodius, known by many as the green menace, and a volatile terror that seldom a miner would dare associate themselves with. 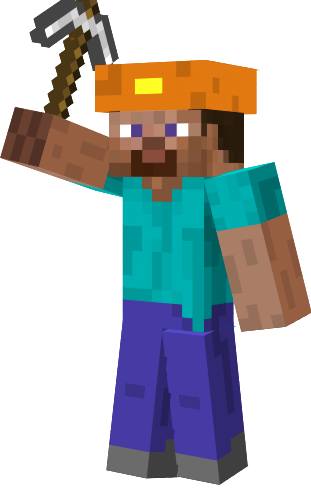 Hated in most Minecraftian establishments for exploding on people with little to no provocation, the sole reason they haven't been wiped out in Namkobia is due to the fact that they're the only ready source of gunpowder available, vital to most of the nation's weaponry. Recent studies involving dismembered feline paws have enabled the ability to control them to an extent, allowing them to be used a living mobile bombs. That's not to say that the method is not without drawbacks; if startled or suddenly frightened, the creeper may still go off without making it to the target, while creepers not under constant supervision might go rogue at a alarmingly fast rate. 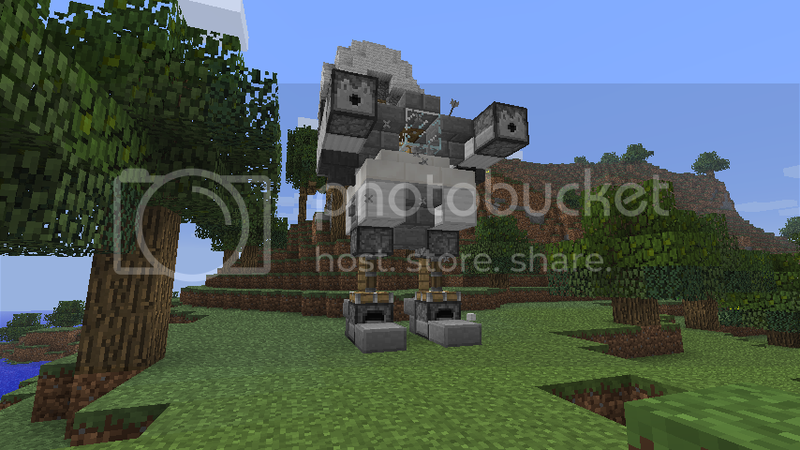 Still, a couple of creepers can make the day of any force, especially a mechanized one miserable. Finally, creepers seem to have some sort of special conductive properties, reacting to high energy content through "charging" themselves, becoming covered in a field of electricity. This makes them into deadly weapons capable of leveling bunkers, but also places great strain on them. They say that in the Namkobian capital itself, there exists an "intelligent" variant of creeper that serves as a second class citizen due to the above reputation of their feral brethren, though even many of the expedition members themselves tend to disbelieve such a statement. 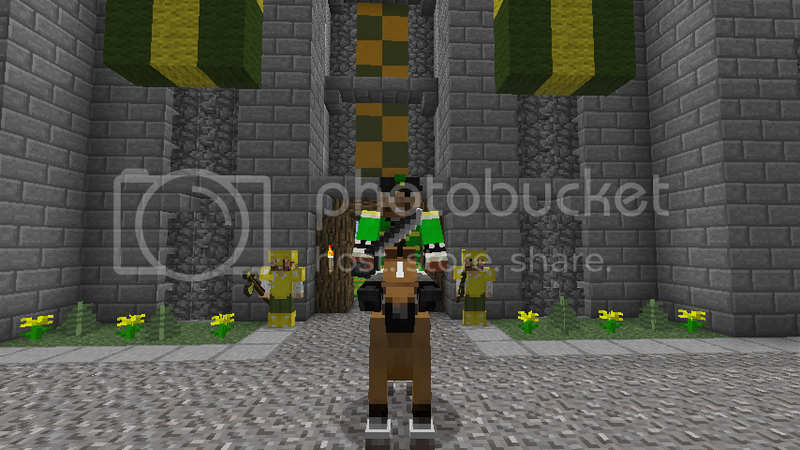 Powerful Mounted Unit, these horse-mounted raiders are notable for the fact that they are Namkobia's only mounted unit. They are lightly equipped to maximize speed, charging into combat with saber and pistol at hand in order to cause disorientation and disruption among enemy ranks, especially in areas too rough to bring tanks to bear. Otherwise, they're used as a swift scouting unit, having better tactical mobility then most standard infantry, and being able to dismount and fight if things get too rough on horseback. Since they're all commissioned officers, they can also command infantry in lei of a true command unit if needed. They get all the ladies. 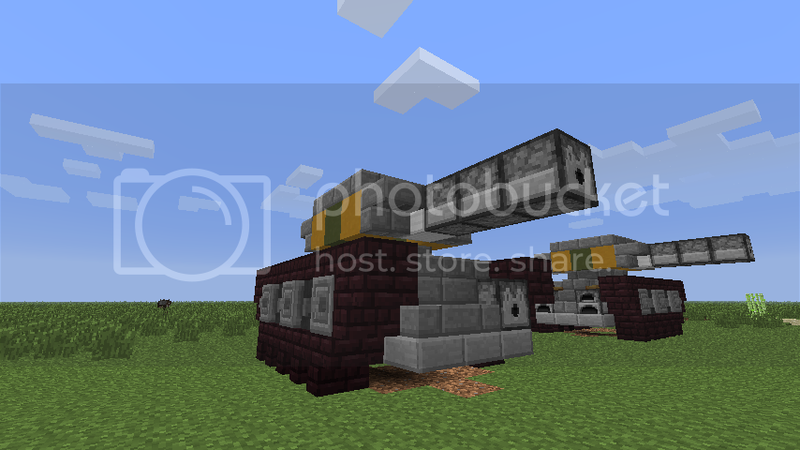 Though the identity of the original inventor of the Minecraftian cannon has long been lost within the annals of history, this weapon remains a potent device in warfare, functioning as the premiere heavy artillery unit of the armed forces. The semi-portable field variant commonly deployed is a 7x3 model, firing its deadly payload at an arc from long range, similar in some respects to a mortar. The TNT resulting then explodes with devastating effect against fortifications, infantry, and vehicles alike, blowing holes through solid metal and stone a meter thick. Like all artillery however, the cannon fires slowly, requiring a crew of two to effectively operate. Destruction of the cannon usually causes the weapon to spill a massive amount of water (a coolant as well as stabilizer preventing the cannon from blowing itself apart) onto the battlefield, leading to a rather muddy affair. Having no native equine population to serve as beasts of burden for the longest time, Namkobia had to build beasts of their own to serve the role of heavy hauling. Landships, constructed of stone, wood, and iron, trundling through the fields of the island on tracks powered by coal, in operation a century before most other nations had any concept of the mechanical engine at all. When war broke out between the isles and the mainland, these ships were fitted with cannon and adapted into what would later become the ancestor of the tank. The first tanks were slow, lumbering machines lacking in reliability, resembling mobile castles in appearance. Half a century later, refinements in the design has led to reliable vehicles like the mighty Gigant Cruiser Tank, the heart of the Namkobian land fleet and the weapon which sets the Namkobian Army apart from its peers. The Gigant's diminutive size betrays the fact that it is composed of 30 tons of proportionally monstrously thick armor, capable of shrugging off modern RPGs from the front while the weapon moves at a steady pace of 40 miles per hour. Its main cannon is capable of punching through an excess of 100 mm armor, which isn't too bad considering that its built mainly out of early-industrial era technology, while a hull-mounted mounted agar gun fires barrages of rather large bullets to deal with infantry. These tanks are crewed by two to three people, consisting of a commander, a driver, and occasionally a gunner. It's rather difficult to cram them all into the tank, hence the usual preference for two. The Eurymedon class battle tank is directly derived from the Gigant, in essence an upscaled version of its smaller relative, armed with a higher velocity cannon to combat heavier armor on an enlarged chassis, placing its weight upwards 84 tons. Its armor rating is in excess of 1000 mm in the glacis, comparable to that of main battle tanks from more modern adversaries, but it remains slow in comparison at 20 mph maximum due to its weight. It has a steady crew of 3 including a gunner, commander, and driver. 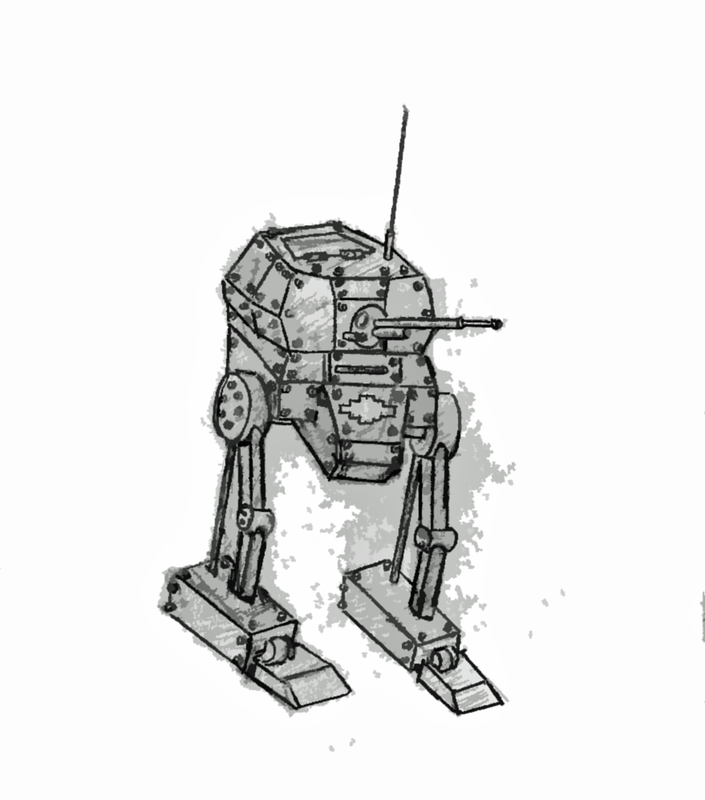 The M.O.A.A (MObile Anti-Air) Walker Mark II is a weapon built through the combined efforts of Namkobia and one of its distant allies back at home in order to produce a weapon capable of combating hostile forces of the air. Standing about eight meters tall, the main purpose of these intimidating machines is to suppress and shoot down enemy aircraft through a fireworks launching system installed within each "arm". In addition, dual dispenser agars allows the MOAA to deal devastating to enemy infantry and lightly armored and unarmored vehicles alike, while its legs allow it to traverse treacherous terrain that no tank would be able to cross. In spite of this, the MOAA is not to be used with reckless abandon; Each individual unit costs an arm and a leg to manufacture, while their various vulnerabilities on the open field have been noted time and time again. Nevertheless, with adequate support, these weapons are a force to be reckoned with on the battlefield. With the aid of a distant empire allied with the Namkobians during the Great Continental War, the recently introduced Sky Galley is a marvel of period technology and a staple of the Namkobian Air Fleet. Small and nimble, with a special purpose flame-turbine engine in order to float at a fairly swift pace for its size, these semi-rigid airships are general purpose, equipped with dispenser cannon primed with fire charges for both self-defense and harassment of larger, slower craft, as well as a bomb bay capable of housing up to three bundles of TNT to drop from the skies. 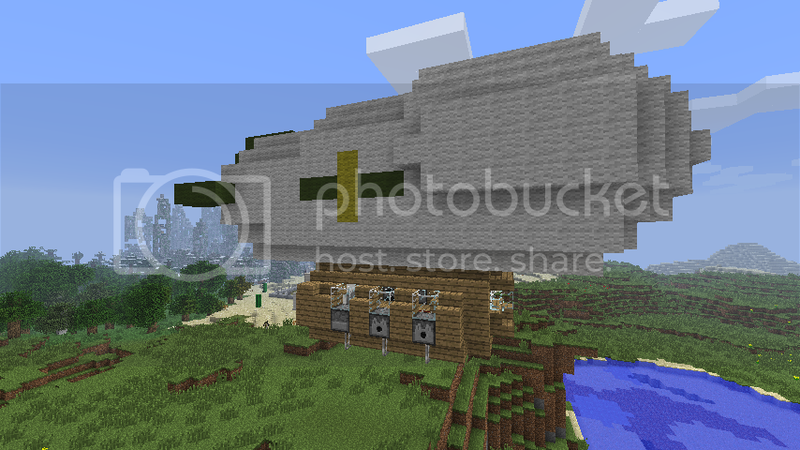 Finally, each airship is capable of transporting 12 infantry-sized units, acting as an airborne transport. When I'm done with the sheet, there should be both a Miner and a Crafter variant for each unit where it's applicable. As for the rectangleness, that is something that would be difficult to alter, seeing as minecraft people are well, blocky. And now starting on drawing the crafter-type musketeer. And here we have the basic neo-type musketeer sheet, containing two different variants. Moving onward, I've started on their main tank, which looking at it now, is actually somewhat small. But eh, I can live with it. Means that It won't take up half the map. And finally, I've made a couple frames on civilian sprites; these will mainly be for civilization mode or ultra-long sandbox matches. You must have trained creepers to act as living bombs. and endermen to steal intelligence and act as a secret super teleporting spy. But you can't teach a pair of shorts how to pants. n something square from your game to make somefing, try to copy draw it! 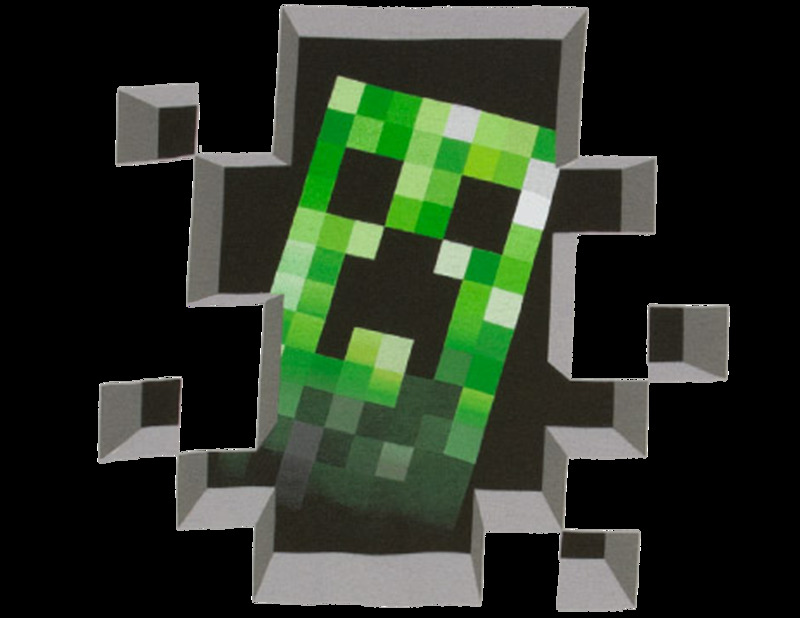 There shall be Creepers soon enough (in fact, I wrote their descriptor), and now that you mention it, Endermen do sound like an interesting idea, but would be hellish trying to balance them, cause they're immune to bullets and can rip a man's head off with little effort. For now, I introduce my next unit, the Sky Galley! And on another note, I've finished up the light tank's front frame, for wall busting action, as well as added a heavier MBT type tank. 1.) 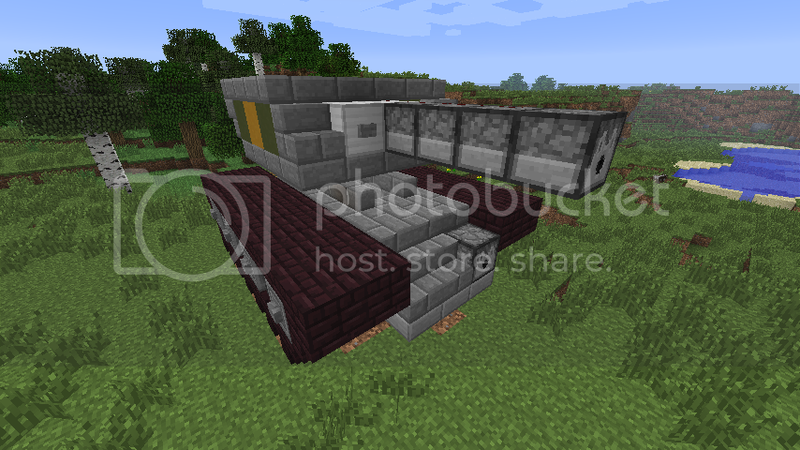 Create a model of a vehicle in-game. 2.) Thoroughly look through the model, sometimes modifying it to make the sprite less awkward when needed. 3.) Convert each relevant block in Minecraft into a 9x9 pixel block. This is far harder then it looks, and is NOT merely using the resize feature in Paint. Each block is in essence sprited from scratch, using the general texture and pallate of the block its meant to represent. 4.) Reshade blocks as needed to represent depth. Nowhere can this be better showcased then the sky galley, which has five different layers of cloth and wood which each needed to be recolored to convey a sense of depth. 5.) String the blocks together into a coherent sprite. 6.) Add final details, such as elevation shadows. I steal a sprite with Terraria, reduction. Voila! 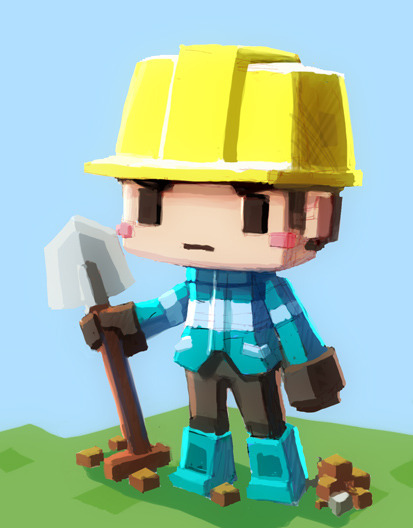 I made a character, but I'm cool, ho ho, very hard work! The image on the left is what happens when you simply resize the block, which results in something that looks workable I guess, but is very lazy and doesn't convey the proper image of a Minecraft block in 10x10 scale. The image on the right is what I do, taking the block's pallet in question and reconstructing it layer by layer, until it resembles the 16x16 block it is based off of. Once a block is reconstructed into 10x10 scale, it is then stored in my workshop for use in vehicle and building construction, where each block is combined in order to form objects like the cannon and tanks. It's kind of like building a model in Minecraft itself, only 2D. In addition to this, blocks will be recolored as needed in order to convey a sense of depth that the 3D model itself exhibits. 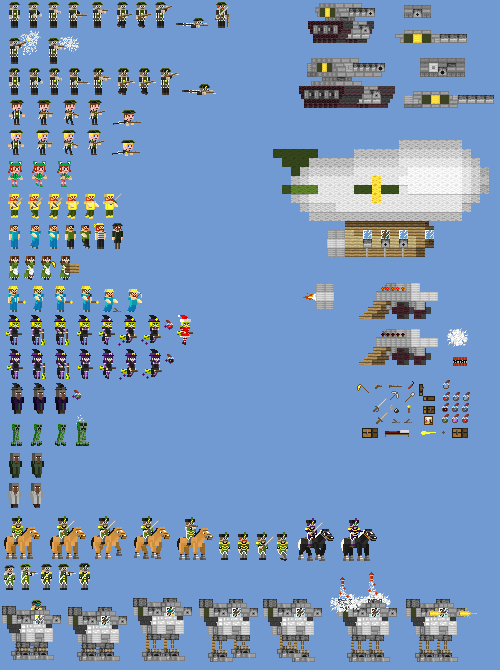 Take a look at the airship model in Minecraft, and now look at its 2D representation. 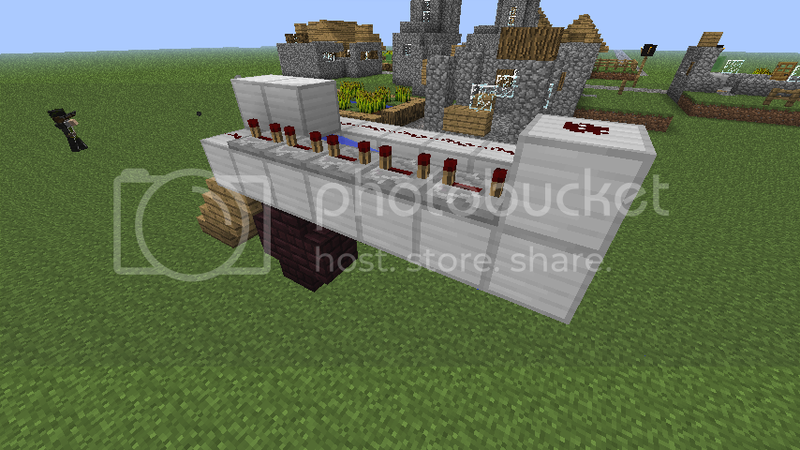 The Airship has many jutting levels of cloth blocks on it in order to simulate smoothness. Now, unless I wanted to do an isometric or 3/4ths view or something similar, I normally wouldn't be able to show this in a full side-view 2D sprite using just the unmodified blocks, making it look like one huge, white, unshaded blob of uglyness. 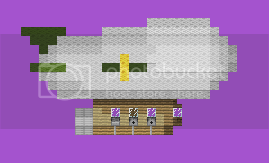 Yet through shading "lower" levels of cloth a darker color, I can give the ship a sense of volume and make it appear shaded in a way appropriate with the Minecraft style. I think he just doesn't like the fact that they are blocks. Ingame they will look weird and out of place and extremely unatural. The soldiers however are ok, it's the vehicles that dont look right. Copying and downsizing is practicaly still copying. You have severed our détente and forced me to unleash upon you the vengeful flames of a thousand suns. You shall curse your mothers for the day of your birth. So, go now, go, and begin your life of fear, knowing that when you least expect it, the looming sword of Damocles will crash down upon you, cleaving you in twain and as you gaze upon the smoking wreckage that was once your life, you will regret the day you crossed the WRONG FISH!! Though I do have sketches of the vehicles in a more "realistic" style, I chose to render them similar to the way they appear in game to stay true to the army's concept. They're supposed to look unnatural and out of place, seeing as they come from an alternate dimension. And there really isn't any way to make Minecraft blocks still resemble Minecraft blocks without copying their design to some extent, but Notch doesn't really seem to mind that sort of thing if the amount of Minecraft models in sketch-up have any indication. I'd say its cool or whatever doing what you are doing now. The main problem I see is that it doesn't let you understand how to shade things in real life very well and using blocks sort of limits creativity. Maybe try making the vehicles in 3/4's view so you can see 2 faces of the cubes it would give it a better sense of volume. Those look a lot better, in my opinion. You're also doing a great job at replicating the blocks. I really don't see what the problem is that Adam had with these sprites, I've never seen a PW army based on Minecraft before. It's pretty original by PW standards, where countless clones of modern militaries are in abundance. I've problem with this army is obased on finish graphics From not his game! Ok Dude you maked a creeper, already existing mob from not your game but You draw it by yourself, nothing bad, But Young copy(dont bulshit about redrswing, spring, shiting) exiting blocks from game with his oryginaÅ graphics, You cant do that, this is bad! Now that I'm converting them into 2.5D, the only things the blocks posses at this point from the originals are their pallets, so you can quiet down about copying now. In fact, the process used to draw blocks and infantry is exactly the same, the only difference being that vehicles are assembled by predrawn voxels while infantry are all one sprite. 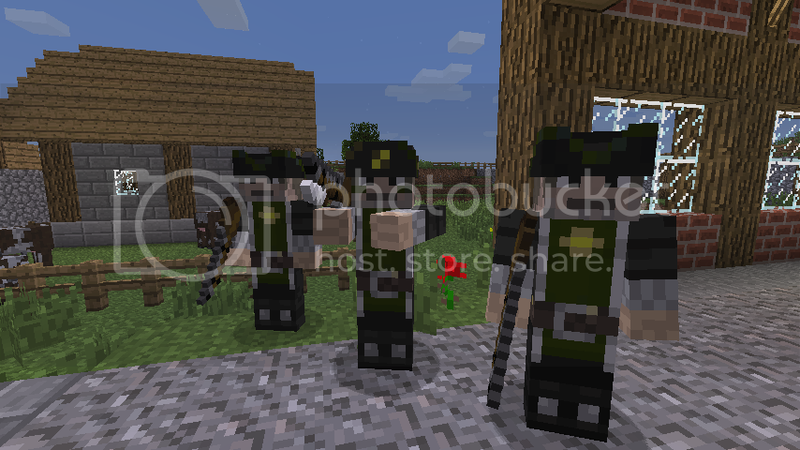 So you might as well accuse me of stealing the mobs too, because they're drawn with the same process as my blocks. Though cannon might be the terminology, they're actually explosive-propelled TNT mortars, which are contained by water. Because screw physics.